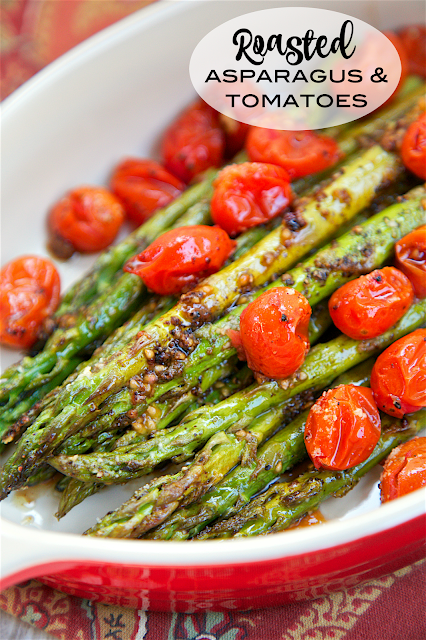 Roasted Asparagus and Tomatoes - takes one minute to toss together and is ready to eat in 15 minutes! SO quick and easy!! Asparagus,grape tomatoes, olive oil, balsamic, parmesan. Great weeknight side dish. Goes with everything! YUM! I don't know about you, but I am always looking for quick and easy side dishes. 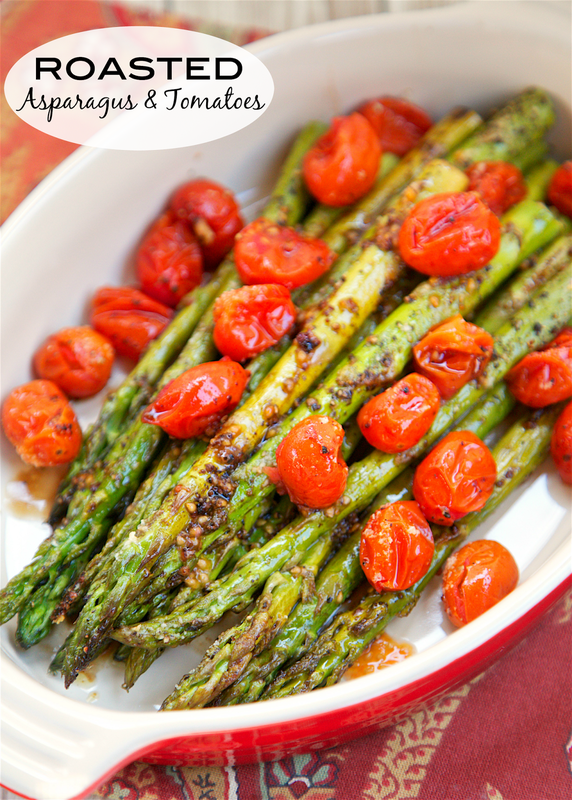 This recipe for Roasted Asparagus and Tomatoes is both quick and easy! It is also really delicious. It literally takes one minute to toss together and it is ready to eat in 15 minutes! LOVE! We love to serve this with some baked or grilled chicken. We ate it with some Cast Iron Steaks last weekend. SO good. Make sure to trim off the hard ends of the asparagus. I just pop them off of each stem and the asparagus is ready to go! Toss all ingredients. Spread out in a single layer on a rimmed baking sheet. Bake for 15 minutes. Serve with additional parmesan cheese, if desired. How far ahead of time do you think this can be made? TIA! I've never really made this ahead of time. We like to eat it hot out of the oven. Made this last night for supper with grilled pork chops. FANTASTIC!